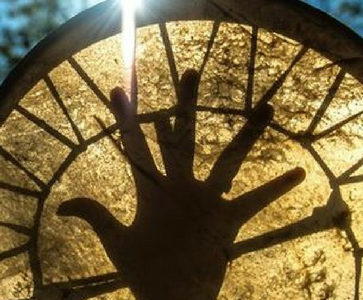 How Can Drumming Heal the Body? The healing power of the drum has been known throughout the ages. 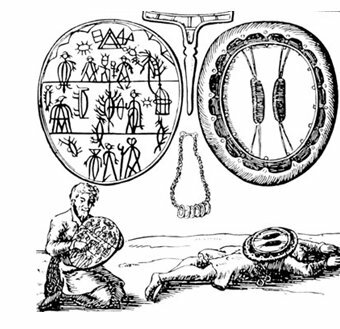 Ancient shamans used drums and other rhythm instruments to induce trance states. In the trance state, the shaman contacts other realms of consciousness and returns with information to help heal the patient. The vibration of the drum also induced healing reactions in the patient. These practices are still being used to today. Energy healing is about bringing the client’s energy systems back into order. The healer can work directly on the energy centers or chakrasby using hands on techniques or music and sound can be utilized. 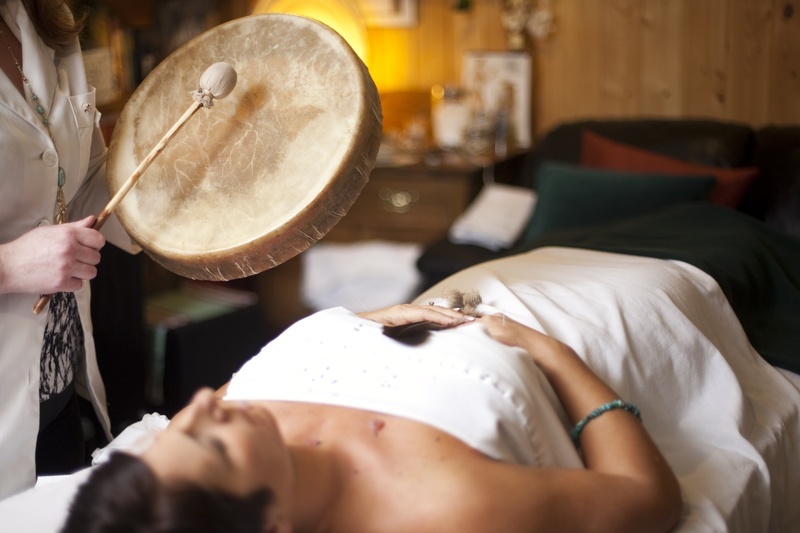 Some healers often place the drum over blocked energy centers and drum with the intention of bringing that chakra back into harmony. The beauty of this is that nothing is forced and the chakra naturally makes a shift. Why Is Drumming Effective in Healing? When we are healthy we have a lot of energy. When we are sick our energy is low or depleted. Just listening to music with an upbeat can energize a sick person. When we exercise we feel energized because the energy of our bodies has been activated through breath, movement and rhythm. This is what the drum can do. All cultures, including Western European, had traditions of using drums in their cultures. The advent of the Judeo Christian ethos and the suppression of the Goddess in both Western and Eastern cultures began the decline of the use of the drum and the healing power of the shaman. Drums can be found in the Druid tradition of the Celts, the tribal nations of pre-colonized America as well as throughout the tribal nations of Africa. Who Were the First Drummers? In her book, When the Drummers Were Women, Layne Redmond provides evidence that the first drummers were most likely women. 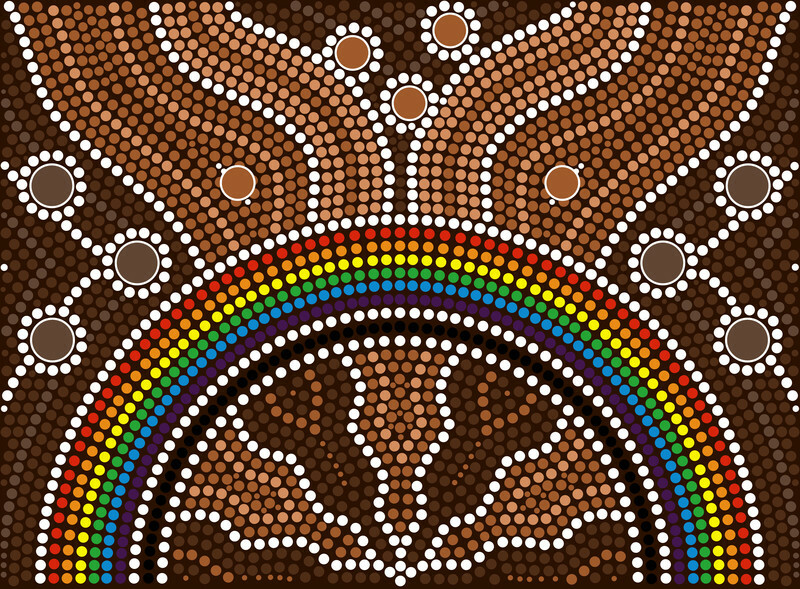 Over 3,000 years ago, drums were used for healing purposes as well as for ceremonial occasions such as births, deaths and marriages. 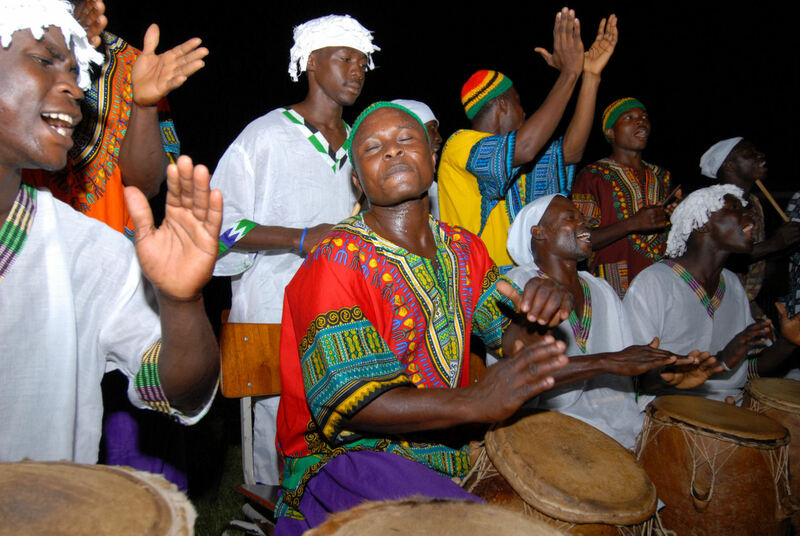 The use of drums for individual and community healing pervade the African Culture. It would take volumes and a library of CDs to discuss African drumming. Each tribe had its own type of drum and its own use of rhythm. In the African culture, specific rhythms are used for healing specific illnesses. Other rhythms are used for births and for the transition of death. Some of these traditions are still alive in Africa. Drumming was used for communication among African tribes. Later, in pre-Civil War America, slaves used drums to communicate to each other and lead each other out of slavery. When the drums were taken away, they used their feet and invented tap dancing. The preservation of African drumming is due to such drum Masters as the late Baba Olatunji (Drums of Passion) and Guinean Drum Master Mamaday Keita. Such widely spread indigenous people as the tribal nations of North America, Siberians and the Finnish (as well as others) used the frame drum that we associate with shamanic drumming. A shamanic drum is constructed to produce a precise response. When struck, the drum produces several tones. These simultaneous tones known as harmonics stimulate both alpha and theta waves in the brain. The mind in brought into a meditative and dreamlike state. At the same time, the mind focuses upon the monotonous and repetitive drum beat. The chattering monkey mind quiets. In this state, the Spirit expresses itself through image, symbols, song/chant, tones, colors, and sensations! This is the essence of the Shamanic Journey. What is Tibetan Buddhist Drumming?The Tibetan Buddhistshave employed drums as part of their religious rituals for over 3,000 years. In addition, Buddhists use the harmonics produced by the Singing Bowls for healing purposes. These harmonics act in similar ways to the shamanic drum. It is made of specially smelted metals that create specific vibrations and frequencies. Everything in our body has a vibration or frequency. This includes our heart beat, our breath, or circulation, our craniosacral fluid and our cells. So it is no wonder that drummingalong with meditation can change the cellular structure and bring the body back into balance. 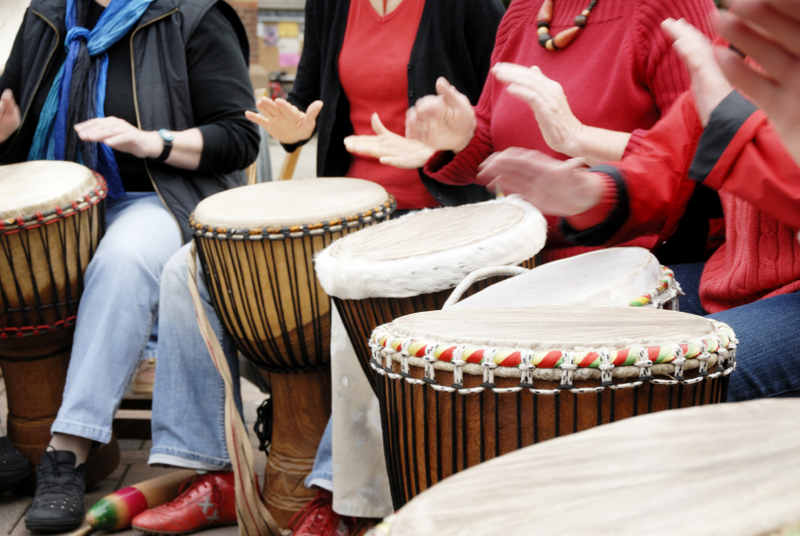 What Does Research Say About Drumming? Recent medical and scientific studies are documenting the healing power of the drum. These studies have shown that drumming lowers blood pressure, improves the immune system, eases depression, and ameliorates the symptoms Alzheimer’s. For example, a landmark controlled scientific investigation by Bittman and colleagues, (Alternative Therapies in Health and Medicine, January 2001) demonstrated “statistically significant positive cell-mediated immune system changes that correlated with one-hour group drumming sessions”(International Journal of Nursing Education Scholarship, July 9, 2004). And so science is catching up with the mystics and the shamans. Finally, drumming is fun…and fun, as we all know, is healing. Laughing, dancing, and chanting with a drum releases endorphinsand lowers cortisol(stress hormone) levels. Drumming is expressive. When you pick up a drum you have a chance to express your own unique rhythm. There will never be another one like it and not one can replicate it, not even an identical twin. Drumming connects us. When we drum in a group we listen to other people. The rhythms we play together connect us energetically and emotionally. Drumming teaches us to communicate better. The world is hungry for rhythm and harmony. In the last century this hunger emerged as the blues, jazz, rock and roll and now rap. The commercialization of the rhythm can distort it though. We need the individual rhythms to be heard. We need to make our own music. The world needs to hear and know your rhythm while you are among us. So go out and find your drum. The one that speaks to you. Then proceed like this. Take your hands and gently beat it to your own heart rhythm – one one – pause – one –one pause. Some good reading: When the Drummers Were Women, by Layne Redmond, Planet Drum by Mickey Hart, The Way of the Shaman, by Michael Harner.